Athena: Aims to Reduce Sexual Assaults | OhGizmo! By Natalie on 11/09/15 • Leave a comment! 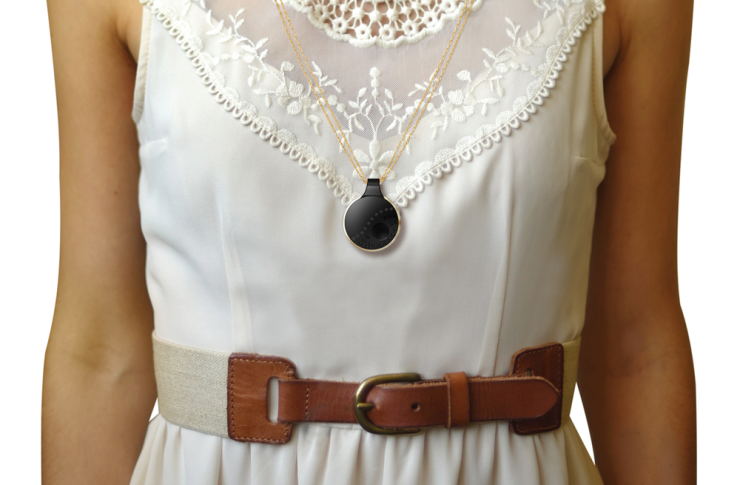 Athena helps protect women from sexual assault with one push of a button. Sexual assault is a serious issue in every country. When founder Yasmine Mustafa came to realize the severity of the issue after a South American solo trip she decided to use her time and energy for the development of a solution for change. It was with this goal in mind that ROAR for Good was born, along with their flagship anti-assault device, Athena. The Athena is a state-of-the-art device designed specifically to be as effective as possible while maintaining a level of inconspicuousness. The idea behind Athena is to ward off an attacker before any damage can be done while simultaneously calling for help from the authorities and any other contacts you wish. When Athena is activated it releases a powerful alarm and will send text message containing the individual’s location to emergency contacts. Perhaps the most misunderstood aspect of wearable protection is that your wrist is the prime location for such devices. In reality the wrist is one of the worst places to wear your protective products, as the wrist tends to be one of the first things incapacitated during an assault. Instead, Athena can be worn as a necklace, clipped to the waist, or snapped onto a purse. The piece of protective jewelry comes in three colors; Rose Gold, Timeless Black, and Antique Silver. At only a single ounce and barely the size of a half-dollar coin, this device is both stylish and functional. Athena has a number of impressive technical features, including LED lights, an alarm, Bluetooth Low Energy capability, 3 month battery life, a non-slip silicone front, and water resistance. There are two modes for everyday use: Alarm Mode and Silent Mode. When Alarm Mode is activated by pressing the recessed button continuously for 3 seconds, an 85 decibel sound, similar to a fire alarm, will erupt from the device. The LED lights will activate and messages are automatically sent to saved contacts. Silent Mode is activated by pressing the button 3 individual times, and no alarm or lights react, but the text messages are still sent as a precaution. Silent Mode is best used for discrete activation in which you feel threatened but are not in immediate danger, and Alarm Mode is designed for deterring an attack as it happens. The ROAR mobile app allows for complete control over Athena right from your phone. The set up is simple but if there are any concerns, any Los Angeles IT support company will be able to help out. With so many advantages that make Athena a unique anti-assault device, it’s no wonder that ROAR for Good hopes to, and likely can, change the world for the better. This product can be purchased for about $75 on Indiegogo. There are different prices depending on the package selected.